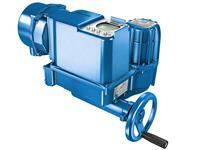 i-matic actuators are high-end sophisticated actuators. The actuators are operated via user interface with LC-display and push-buttons. They include c-matic functions and additionally programmable actuator functions and operating modes via remote and local settings, watchdog, electronic nameplate, datalogger as well as local valve diagnostics for predictive maintenance.